French country living seems positively idyllic and peaceful to many of us. Yet this is the lifestyle that "Beauty and the Beast's" heroine, Belle yearns to escape. While her provinical life may strike an outsider as not half bad, her ultimate place of residence also inspires quite a bit of envy. Europe is chock full of spectacular castles, villas, and châteaux, many of which have inspired the locations in Disney’s classic fairy tale reimaginings. 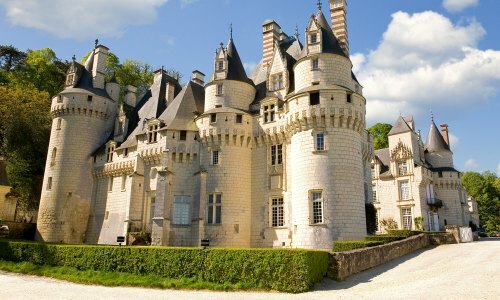 France in particular showcases some of the most delectable, elegant, proud and stately homes in the world. Find your perfect French country getaway. What makes a great French château? What are we looking for most when we visit? Is it the luxury? The peaceful grounds? Or maybe it's the desire to simply feel far removed from everyday life. Tours to France often reveal something we didn't realize was lacking as we stroll the idyllic countryside, much unchanged over the centuries. Relaxing into the fairytale is part of what makes a visit to the beautiful châteaux of the French countryside so wonderful. The picture of elegance and opulence, this enormous residence is actually the largest chateau in France, with over 400 rooms, and 85 staircases. That’s a lot of banisters to slide down! 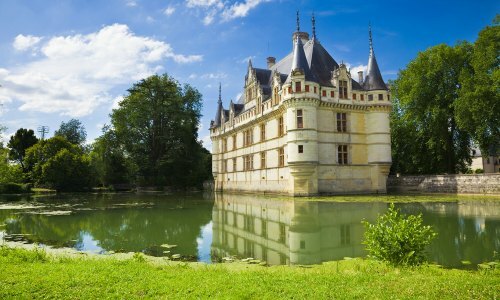 Built in the 16th century, it was used as a hunting retreat for King Francois I. And this usage is displayed proudly throughout the castle, as vast and numerous rooms throughout are decorated with antlers, busts, and paintings depicting classic hunting scenes. There is also a modern game reserve where classic hunting events are still held today. You can bike ride around the extensive grounds, ride horses, and explore the enormous castle from the ground, up multiple spiral staircases, through rooms decorate with impressive historical detail and minutia, all the way to tower tops and balconies overlooking the expanses of forest and manicured green lawn. For pure cliche of what one would envision an old fashioned, large, French country home to look like, Montresor wins hands down. It has the classic towers, the hardy stone exterior, and lovely grounds, complete with pond. 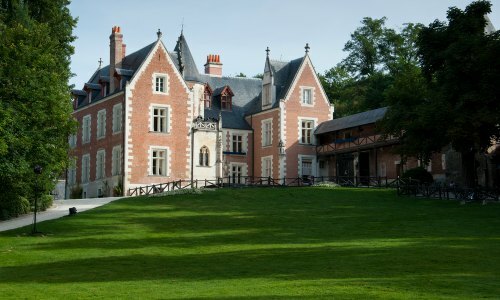 This château is picturesque while still appearing functional, designed for sustaining a large staff and family. Straight out of Cinderella, this is a fantasy colliding with realistic interpretations of the fairytale atmosphere. Inside is just as spectacular, featuring in particular an extensive collection of rare art pieces and period furniture. Xavier Branicki, a polish count who acquired the chateau in 1849 was an avid collector and his taste for finery is seen throughout. Due to the fact that it looks astonishingly like a movie set, this chateau has been used in multiple television series in the film "Man in the Iron Mask". It has gone through multiple iterations, seen many battles and hosted many residents throughout the centuries. Originally constructed in the 12th century, it stood proud until 1617, when an attack by loyalists to King Louis XIII left it in ruins. Napoleon took up residence in the 1800s, and today his handiwork can still be seen, though he didn’t get to finish all he had planned for the castle. A number of architectural influences converge at this chateau. The buyers who restored it throughout the centuries often changed their minds or built in the medieval style according less to reality and more to fantasy. Another reason this location works so well as the setting for fantastical films and television shows. This “small” residence situated along the Indre River, was built in the early 1500s, during the reign of King Louis the 1st. 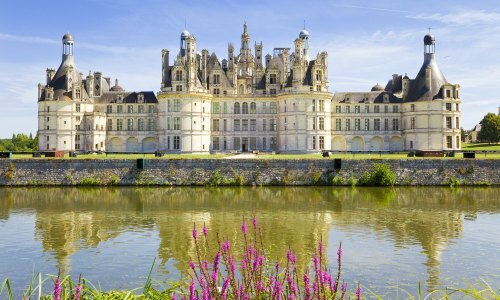 It is possibly one of the more romantic chateaux of the Loire Valley, and one of the only ones to not begin as a fortress, or be severely damaged in wars. A picture of elegance, nestled among beautiful trees, against a calm and picturesque moat. One would barely be surprised to see a fairy tale prince or princess walking the dreamy grounds, which seem like a living watercolor painting. Azay is open for visitors and has gone through a number of key renovations to maintain the classic style in which it was originally built. One of them most unique features of the castle is the enormous grand staircase, prominently situated and offering views outside to the grounds. 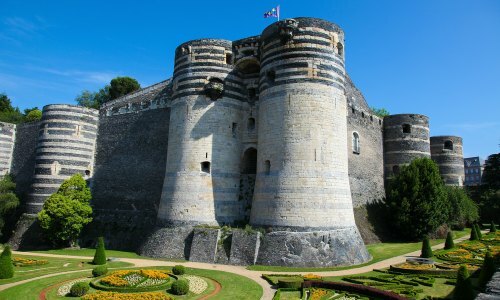 Another Loire Valley classic, this medieval masterpiece looks more like a defensive fort from the outside than its counterparts in the valley - which have defensive history but were then made over to be more “homey”. 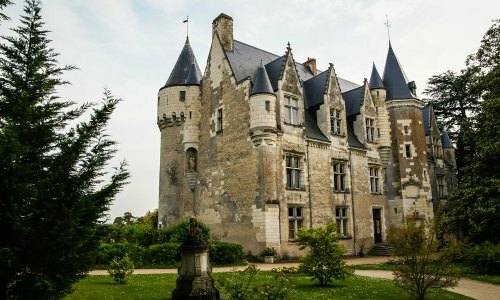 The Chateau was first utilized by the Romans as a defensive outpost, and later found the same usage various French kings, starting from the time of the 9th century. As time went on, royal residents added more frills, rooms, wings, and comforts to the fort, bringing it to the place it is today. (Though in the middle of these renovations it was used briefly as a prison by Louis XIV). Worth visiting just to see the impressively detailed and enormous “Apocalypse Tapestry”. Made in the 1300’s, the tapestries depicts the apocalypse as described in the Book of Revelations. This is the Sleeping Beauty Castle. Does anything more need to be said? Basked in sunlight, with the Indre River flowing by, and at the edge of a beautiful forest (which is still deliciously foreboding, as one would expect), this is fantasy 101. It is said that author Charles Perrault wrote the classic Sleeping Beauty fairy tale while staying here, and the castle is also supposed to have inspired the castle at the center of Disneyland. The castle dungeon is set up with scenes from the story - bringing the story’s connection with the chateau into sharp focus. Inside, the castle is known for brilliantly detailed rooms and exhibitions which allow visitors to imaging life during a typical day for the residents of the chateau through the years. Garden lovers, this one’s for you. 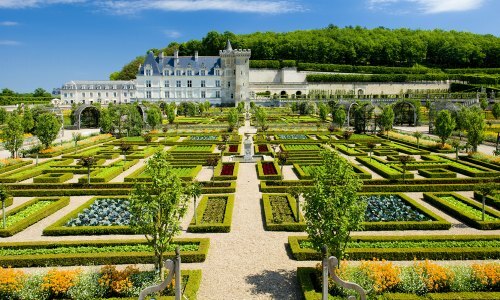 The gardens of Chateau de Villandry are second to none, renowned throughout the country. Wander through endless rows of flowerbeds, fruit trees, immaculately manicured hedges, herbs, and vegetable patches. As the scent of lavender wafts through the air it’s easy to imagine yourself back to the 1600’s when Jean Le Breton was so inspired by the Italian renaissance gardens of the time that he copied their style down to the stylish geometric patterns. However the chateau holds yet another claim to fame other than its spectacular gardens. It was constructed around the original buildings of a keep, where in the 1300s, King Richard the Lionheart of England met with King Philip II of France to discuss peace negotiations. This deliciously elegant home situated in the Loire Valley looks like the most perfect real human size doll house. Situated right in the city center of Bois, this is not the place to come for impressive grounds or country escape, but if you enjoy unique details and extensive history embedded into every step and turn this where you want to come. Blois Castle is one of the best castles in France to visit for architecture enthusiasts. While most of the Loire Valley chateaux have gone through changes and adapted to the times based on function and vanity, at Blois the transitions are much more prominent. The multiple wings of the castle were added on over a period of 4 centuries, providing a literal passage of time. The one other major claim to fame for this chateau is that Joan of Arc once stayed within its walls. In the year 1429, before she headed off to Orleans, Blois served as the location where she was blessed. Hold onto your hats: Leonardo da Vinci lived here. In fact he lived his last days here, as a guest of King François I, who lived in the nearby castle at Amboise. Before this famous resident came to live here - producing many royal command paintings - Close Luce played host to royalty dating back to the 1200s. The chateau fully embodies and embraces its connection with Leonardo da Vinci. The rooms are setup to depict what he may have owned, worked on, seen and experienced in day to day life himself. Some of today’s brightest engineers have even painstakingly recreated some of da Vinci’s own inventions - using his actual journal sketches as a guide. Many of these dot the lawns surrounding Chateau Clos Luce and are a real highlight of the visit. 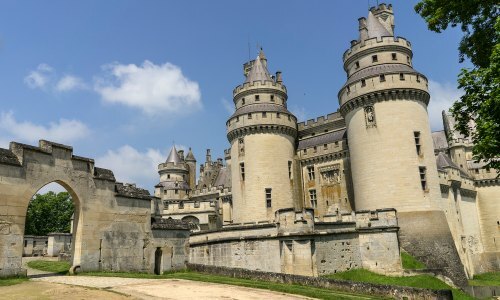 Originally constructed entirely with wood in the 11th century, and graduating to a stone exterior when it was transformed into a border fort in the 1400s, this chateau has a long and storied history. 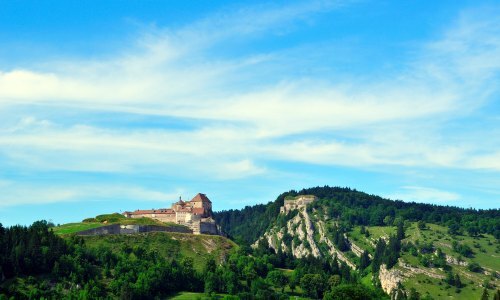 The castle is one of the only chateaux in France that still maintains more of a fort like appearance (and in fact is sometimes still called Fort de Joux). It appears to grow directly out of the rock on the cliff it occupies, looking out over the eastern border lands toward Switzerland. Serving as a prison in the 17 and 18 centuries, where among its many prisoner it hosted Toussaint Louverture, who led the Haitian slave revolt between 1791–1804. After the 1800s, it transitioned from a prison to serve primarily tourist purposes. Visit to see the impressive collection of war instruments, spanning several centuries. 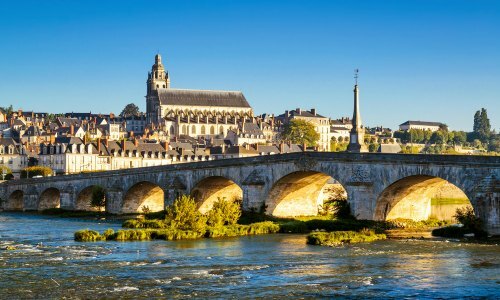 Ready to explore all the beautiful country homes of France?